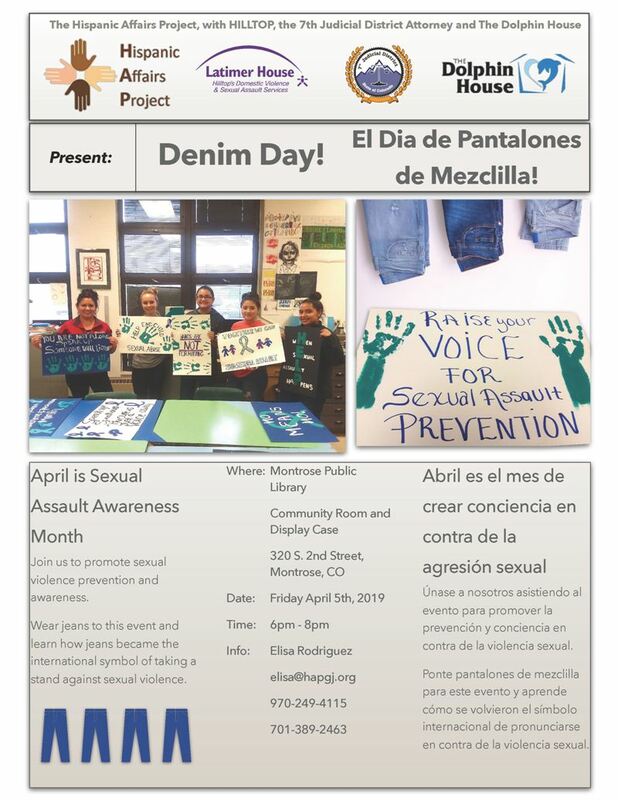 Join us at the Montrose Public Library on Friday, April 5, 2019 from 6:00 p.m. to 8:00 p.m. to promote sexual violence prevention and awareness. Wear jeans to this event and learn how jeans became the international symbol of taking a stand against sexual violence. For further info, contact Elisa Rodriguez at 970-249-4115. Sponsored by the Hispanic Affairs Project, with Hilltop Community Resources, the 7th Judicial District Attorney (us), and the Dolphin House Child Advocacy Center.